My husband and I love the snow. The first year we were together, we bought season ski passes to Heavenly Valley, a huge resort in Lake Tahoe, and drove there from the San Francisco Bay Area almost every weekend to ski and snowboard. We aren’t wealthy. Ski passes were cheaper then, and a good choice because we went so often. And the passes also let us ski at Colorado resorts near Denver, where my husband’s parents lived at the time. On those Tahoe trips we’d stay at the cheapest, grungiest motel, The National 9, that somehow held a touch of charm for us, though looking back, I can’t figure out why. Maybe everything looks charming when you’re madly in love! But then we had our son. And we didn’t want him playing on the spooky-looking carpet at the National 9. So when we thought he was ready to hit the slopes, we sprung for a nicer hotel and went back to Heavenly Valley, our favorite. We quickly discovered that we’d made a very expensive choice! Two adult day passes are pricey, and the child’s ticket up the gondola wasn’t cheap either. And since our son was only four at the time, he didn’t have the stamina to try snowboarding for long. Though he did hop on the board and go, and it was pretty adorable! Our son is seven now, and in the years since that first expensive trip, we’ve learned a few things that have saved us a lot of money. Hopefully they can help you plan a fun snow trip with kids, on a budget. 1) Know your children’s limits. Our son can do a half day at a resort before he gets worn out and cranky. My husband and I stick to a firm policy of stopping while we’re still having fun. 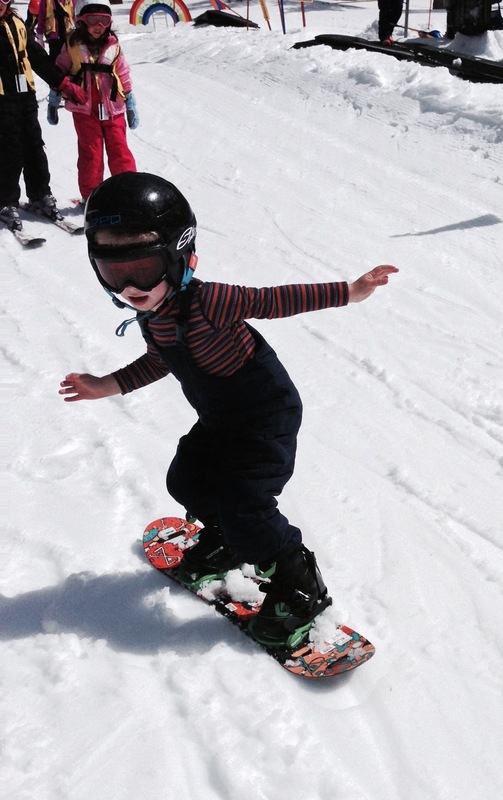 We want our son to love skiing and snowboarding, and he won’t learn to love it if he associates his days on the slopes with being worn out and miserable. And half days are less expensive too! 2) Find the family friendly resorts. Certain resorts, often those that don’t get the most snow, offer family discounts. 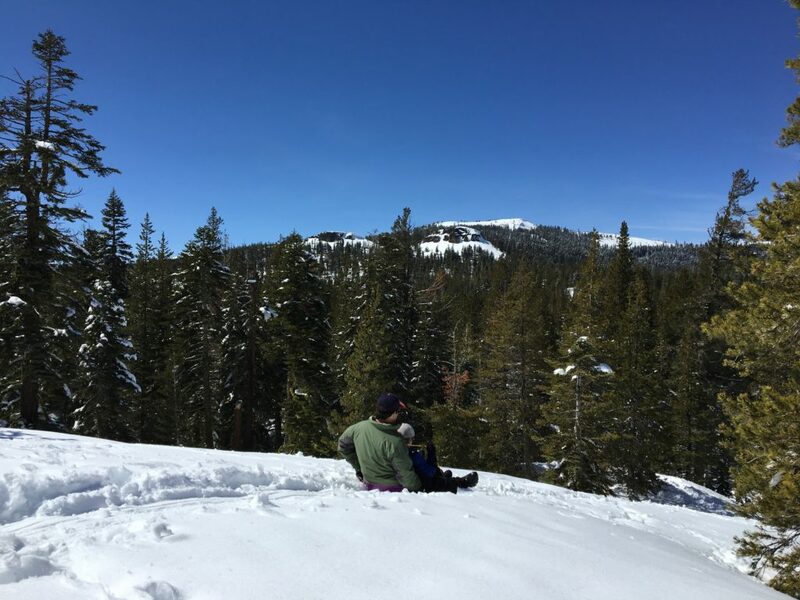 Diamond Peak in Tahoe offers a shared pass, so one parent can help the child on the bunny slope while another can do a quick run on their own. 3) Try to go mid-week. It’s less crowded and many resorts offer mid-week specials. 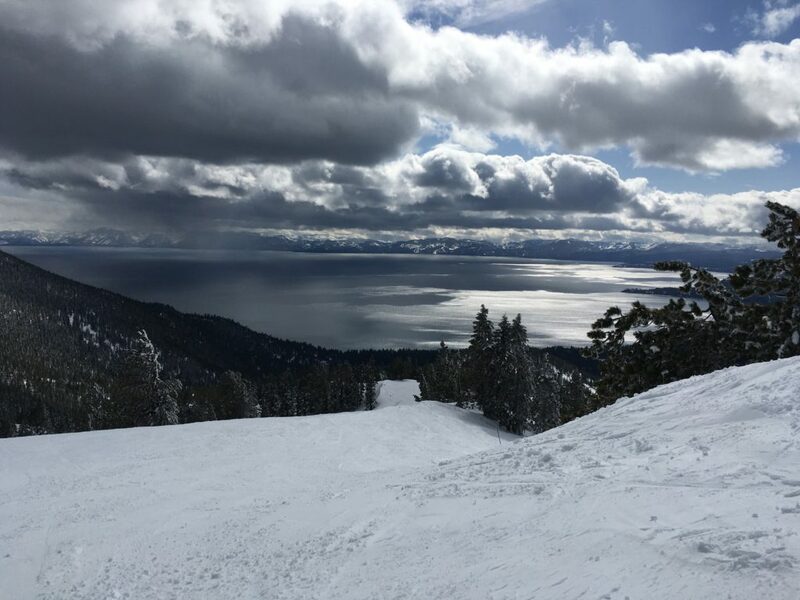 Mount Rose in Tahoe offers Two-fer Tuesdays. Two tickets for the price of one! 4) Do your research on lodging. If you don’t stay right at a resort, it’s a lot cheaper. When we go with friends, we rent a house together, which saves a lot of money. When we go on our own, we search for the best hotel deals. And don’t forget, sometimes prices go down at the last minute, so if you have flexibility in your schedule, and you feel like taking a bit of a gamble, you can sometimes pick up a last-minute bargain. But keep in mind that this will probably only work if you’re going mid-week and not during a standard school vacation. 5) Bring your own food, if possible. We pack our parkas with granola bars to keep my son going. We have a bag of snacks and drinks in the car. We try to avoid resort food when we can, because the costs are pretty outrageous. 6) Borrow children’s snow gear from friends, and share what you have with friends. Ask about hand-me-downs. Don’t be shy, put the word out to friends and family with older kids that you would love any gear they can’t use anymore. 7) Don’t forget sledding! And other types of snow fun. Snowshoe rentals and cross-country skiing are fun less-expensive alternatives. And sledding is a joy. Our son loves hopping onto his purple plastic sled and blazing a trail down a hill. In Tahoe, we get a five dollar SnoPark permit and head to Donner Pass SnoPark. The views are gorgeous. And this year there was record snowfall, so we sank in the snow up to our thighs. We slid, crashed and laughed all day, and all of those great memories came from a five dollar park pass and a twenty dollar sled. I hope these tips are helpful. Wishing you happy, economical fun in the snow!